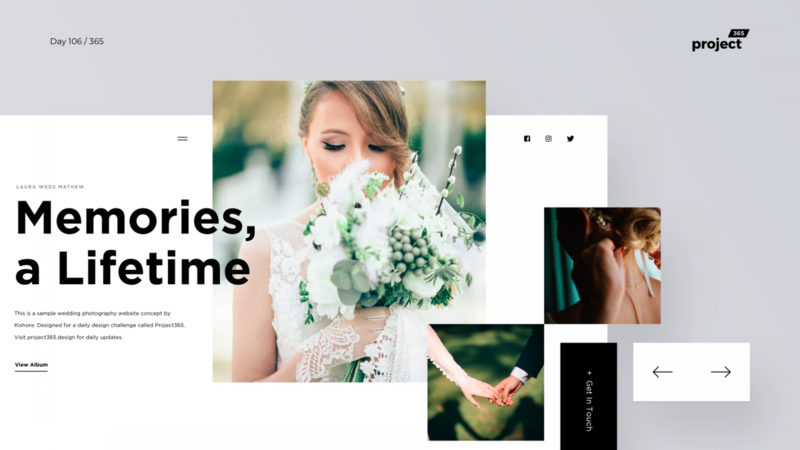 Brief: To design a minimal & modern wedding photography website. Here’s a Minimal Photography Website Concept. I’ve tried to incorporate the bold type and images that tell a story. For a photographer, telling a story through a photograph or a set of photos is key. I tried to achieve that over here. With subtle animations & transitions, this would be certainly a serious contender in my opinion. What’s your opinion on this one?